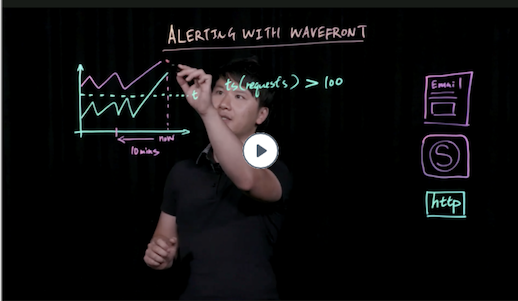 Learn about how to get data into Wavefront, view your data with charts, and use alerts. 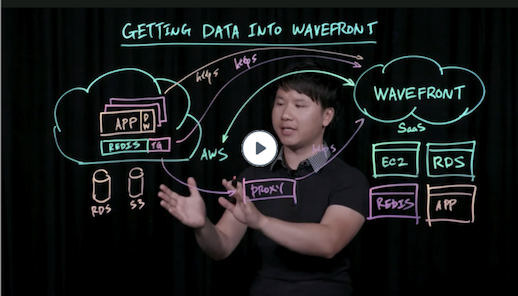 In the Getting Started videos, Wavefront co-founder Clement Pang explains how things work, and Wavefront’s first Customer Success engineer, Jason Goocher, demos an alert in the Wavefront UI. Charts help you visualize data and find problems. 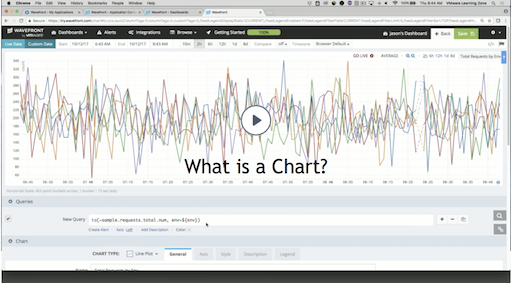 Jason shows how to pick a chart type and how to configure a chart so it shows exactly what you need. For example, a stacked area chart shows the total requests from all environments but also each environment individually. You use query language functions to further customize what you see. Wavefront supports sophisticated alerts that go far beyond traditional alerting systems. 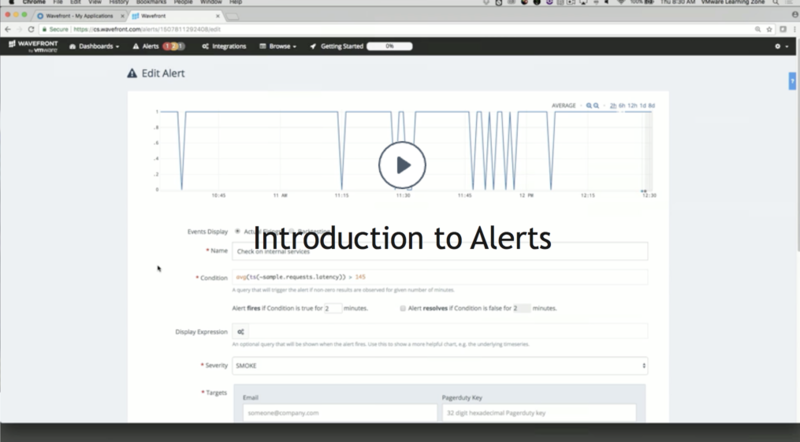 Clement explains how alerts work using the example of a simple threshold alert. The alert fires when any monitored time series exceeds the threshold for 10 minutes. Wavefront then sends an alert notification to all specified alert targets. When the alert is resolved, notifications are sent to the targets again. Additional examples are shown in other videos. Jason demos in the Wavefront UI how you can find firing alerts and look at alert details. He also shows how you can look at alert events in a chart window.